We talked in class today a little bit about questions. Questioning while reading a text is a great way to engage and actively participate in your brain making connections and thinking about what it is you are reading. Don’t be a passive consumer—ask questions, challenge the author’s point of view, the characters’ motivations, the “facts” of the book. There are different levels of questions. Recall Questions: these can be answered from facts from the story. For example: How old was Paul when he enlisted in the war? Analysis Questions: these can only be answered by reading between the lines of the story. For example: Why does Paul think he and his friends are “half asleep” (pg. 74)? 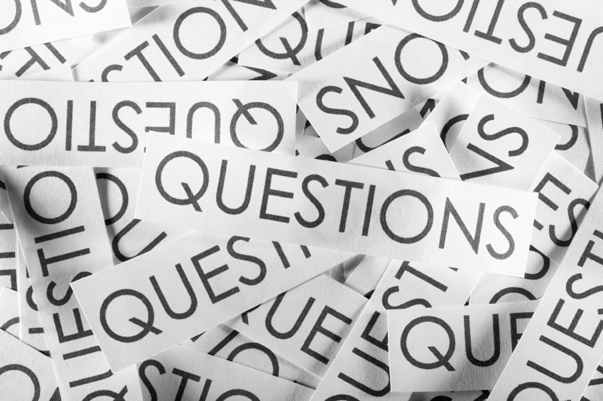 Essential Questions: these go beyond the text and into larger, bigger picture of the values, importance, and consequences that the novel presents as its vision. For example: How can an individual fight against the injustices that war brings to life? You wrote down and brainstormed some great questions in class today. And it sparked some discussion about the bigger themes of the novel. Some were just clarifying questions and those are fine. Keep searching for truth and clarification, what makes sense to your interpretation of the novel. We will be using these questions further to help us develop strong thesis statements this week! I hope you are excited to get started!